Alex Viggers BA (Hons), DHP, DSFH, IIHHT, MAR. 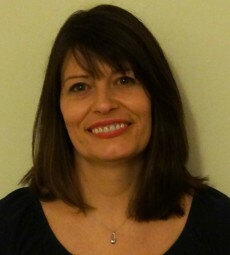 Alex has been a therapist for over 10 years and has experience in treating clients with a wide range of conditions. She has a huge enthusiasm for her treatments, having seen so many very positive results from her clients. As both a clinical hypnotherapist and reflexologist, Alex has a holistic approach and a wide knowledge and experience of mental and physical health issues which you can benefit from whichever therapy you choose. CLINICAL HYPNOTHERAPY for issues such as anxiety, depression, confidence, fears and phobias, obsessional behaviour, habits and addictions, fertility, IBS, pain management, weight loss, motivation and smoking cessation. REFLEXOLOGY which can help with relaxation, stress relief, headaches, back pain, fatigue, digestive disorders, skin problems and more. For women it can be effective for hormonal imbalance and symptoms of the menopause, PCOS, PMT and fertility. MATERNITY treatments to encourage a healthy pregnancy and calm birth experience. Maternity reflexology aims to relieve a range of conditions associated with pregnancy and hypnobirthing will help you to have a calm, confident labour. Many more testimonials are available on Alex’s website. REFLEXOLOGY Alex has a level 3 Reflexology Diploma (IIHHT) with the International Institute of Health and Holistic Therapies. Advanced qualifications include Advanced Techniques and Maternity and Fertility Reflexology. Alex is a Member of the Association for Solution Focused Hypnotherapists and The Association of Reflexologists and is listed on the NHS find a practitioner website. She is fully qualified and insured and is committed to providing a professional and friendly approach to health and wellbeing.